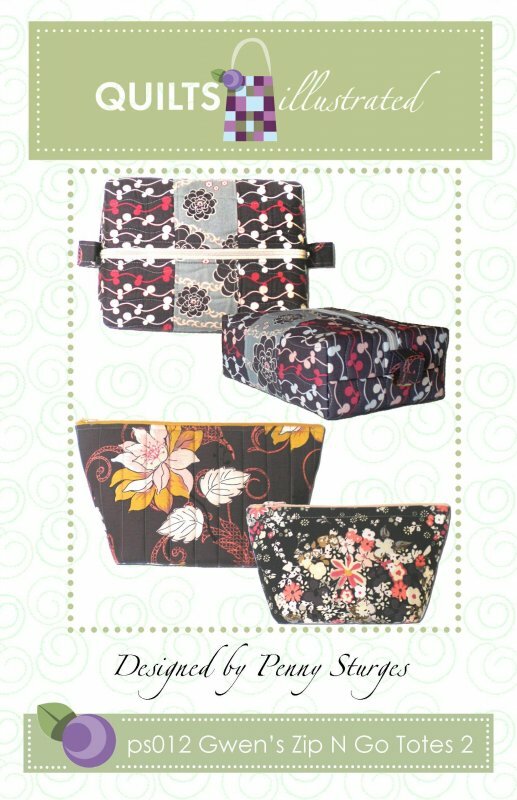 Two little bags in two sizes to carry your sewing supplies, cosmetics, prescriptions, anything you can think of! Easy zipper instructions. Rectangular bag is approx. 10" wide x 7" long x 1 1/2" tall. Small bag is 7" x 5" x 2". Large Bag is 10" x 5" x 4".